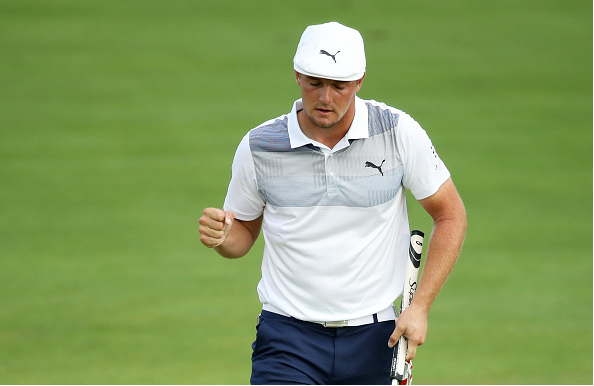 The first leg of the 2018 FedExCup Playoffs gave us a statement win by Bryson DeChambeau who claimed his second victory of the season, and essentially locked up a spot on the U.S. Ryder Cup team. 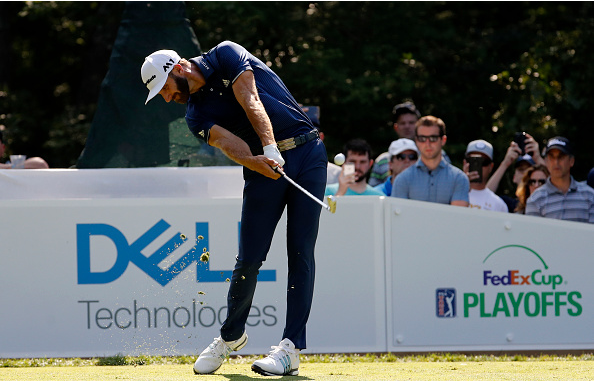 This week the PGA Tour ships up to Boston for the final edition of the Dell Technologies Championship. Headlined by Tiger Woods, world No. 1 Dustin Johnson, and defending champion Justin Thomas, the field in the Baystate is comprised of 100 world-class golfers, highlighted by 18 of the world top 20. While 100 players will enter Boston, only 70 will survive and make the trek down to Pennsylvania for the BMW Championship. We do not know exactly who will be fortunate enough to move to the third leg, but what we do know without a doubt: they will have earned it. 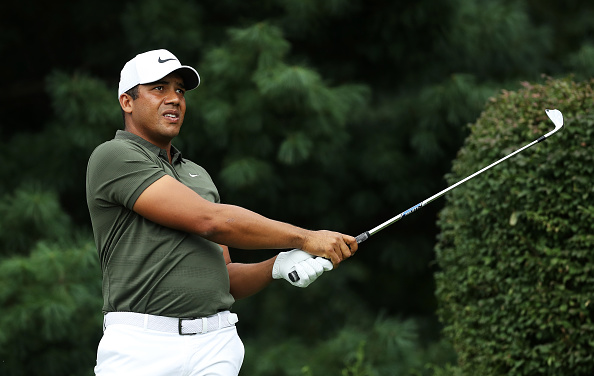 The 16th edition of the Dell Technologies Championship will be its last, as the tournament drew the short straw when the PGA Tour decided to reduce its FedExCup playoffs to just three events. Starting next season, The Northern Trust, BMW Championship and the TOUR Championship will comprise the playoffs. 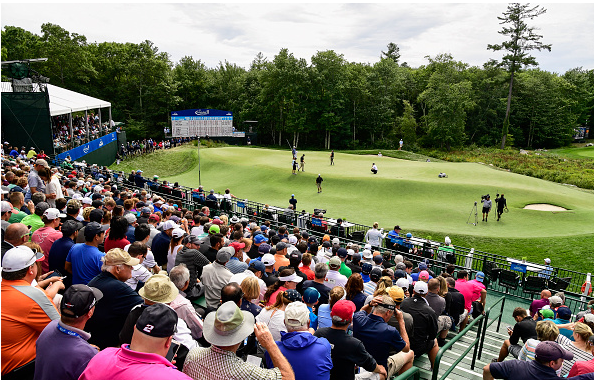 All is not lost for TPC Boston, though, as the venue will host The Northern Trust, starting in 2020, and then rotate between Boston and New York every other year. The inaugural Labor Day tournament, then titled the Deutche Bank Championship, was contested in 2003 with Adam Scott taking home the trophy and the $900,000 first prize check. Four years later, the event was assimilated into the then new FedExCup playoffs, offering a larger purse and a guaranteed all-star field. Despite a relatively short 15-year existence, the list of winners in Boston is quite impressive and includes former major winners in Scott, Vijay Singh, Tiger Woods, Phil Mickelson, Rory McIlroy, Webb Simpson, and Justin Thomas. Singh (2004, 2008) and McIlroy (2012, 2016) are the only two-time winners in Boston. Each edition has been held at TPC Boston, an Arnold Palmer design that was built in 2003, but took on a significant redesign from Gil Hanse and Brad Faxon before being used as a FedExCup event. 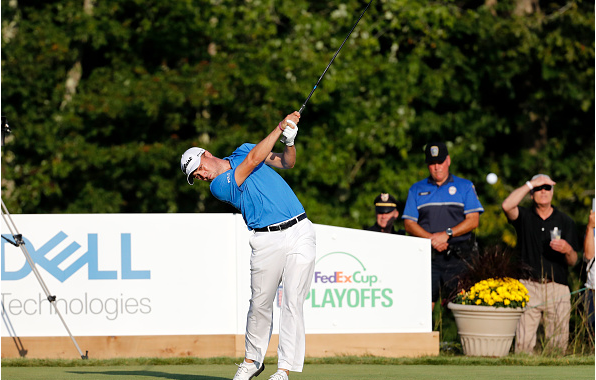 The defending champion of the Dell Technologies Championship is Justin Thomas, who outdueled Aussie Marc Leishman and good friend Jordan Spieth, shooting a final-round 5-under 66 to capture the second leg of the FedExCup Playoffs. Thomas went on to win the FedExCup and the $10 million first prize. The Northern Trust eliminated 25 of the 125 players who made the FedExCup playoffs. Six players – Patrick Rodgers, Brandon Harkins, Trey Mullinax, Charl Schwartzel, Rory Sabbatini, and Alex Cejka – fell out of the top 100 to end their respective seasons, while six others – Nick Watney, Bronson Burgoon, Jhonattan Vegas, Scott Stallings, Danny Lee, and Brian Stuard – played their way into the top 100 in the FedExCup standings to advance to the Dell Technologies Championship. TPC Boston will whittle the field down even further, as only the top 70 upon the completion of this week’s tournament will move onto the BMW Championship. On average, just over six per year jump inside the top 70 at this event, which has the players just on the other side of the bubble nervous too. Right now Kevin Streelman holds the No. 70 position with 724 points just 10 points ahead of Tyrrell Hatton at No. 71. With playoff points quadrupled, a lot of movement can take place as evidenced by a five-way tie for 15th worth 204 points last week in New Jersey, while a five-way T20 was awarded 164 points. It’s not just those around and below the top 70 that are motivated to improve their standing either. The Tour Championship only invites the top 30 in the standings after the BMW. Some are already guaranteed a spot at East Lake, but those who haven’t greatly increase their margin of error in Chicago if they place well in Boston, not to mention that those who are in the top five going into East Lake are guaranteed to win the FedExCup if they win the Tour Championship. If those five are serious about winning the FedExCup and its $10 million prize, and there is no good reason they would not be, they are best served by continuing their great play into this week. This is not a week off for anyone. The second leg of the playoffs will feature the top-100 players in the final FedExCup standings, with Justin Thomas defending his 2107 title, and seeking his fourth win of the season, and 10th of his young career. In addition to Thomas, the field in Norton, Mass. 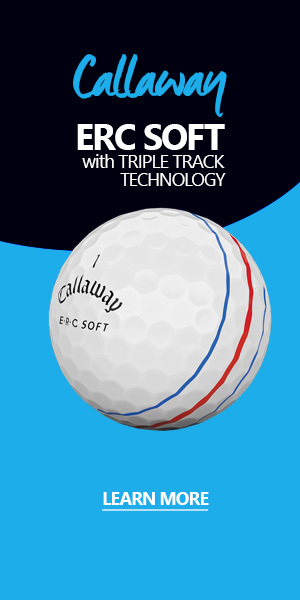 will feature all the big names including Tiger Woods, Dustin Johnson, Jordan Spieth, Rory McIlory, and Justin Rose. As we do each week, let’s take a look at the field, by the numbers. All 10 of the top-10 players in the current FedExCup rankings will be in the field. Eight of the top 10 in the Official World Golf Ranking will be in the field. Francesco Molinari (6) and Rickie Fowler (8) will not play. There are seven (7) former FedExCup champions in the field this week. Eight (8) rookies qualified for the playoffs this year. Five (5) moved on to Boston.